1 – You swing your arm a little bit higher than usual, JUST to make sure your steps are being counted. 2 – You push a shopping cart with your “Fitbit free” arm. Even if that means you have to get very creative with turning tight corners with heavy, grocery and kid-filled carts. 3 – You get mad at yourself when you temporarily forget you are wearing a Fitbit while pushing a shopping cart, and you realize you have no idea how many steps you just “wasted” without getting credit for it. 4 – You try weird things out while looking at your Fitbit – like smaller steps vs. bigger steps or running your steps vs. walking your steps. You subsequently decide to forsake any concern for self-image and walk like an Ewok. Smaller strides = More Steps. That’s what matters. 5 – You pick up a baby and immediately transfer them to your “Fitbit free” arm so you can freely swing your other arm. You continue to carry said baby with the same arm, even if you get muscle cramps…because every step must count. This applies to bags of groceries, books, or anything else you can carry with one arm. 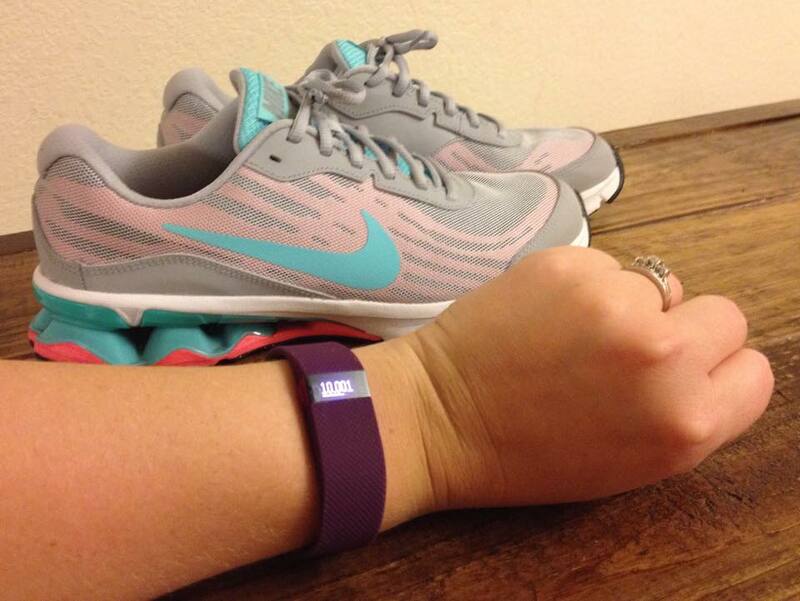 6 -When your Fitbit is charging, you feel like you should remain still. Absolutely no steps should be taken if they are not counted. 7 -You show your husband your sleep patterns on your Fitbit app, just to prove that the kids really do wake you up a “thousand” times a night. 8 -You feel slightly panicky right before midnight as you realize you are a few hundred steps away from 10,000. You begin to quickly pace around your couch. When you first started this ritual, your husband’s eyes would get wide and he would very suspiciously ask you what in the world you were doing. However, after a few days of this nightly ritual, he knows exactly what you are doing and he has learned to accept the nerd inside of you. 9 -When you reach your goal steps and your Fitbit begins to vibrate, you have this insane desire to show your blinking Fitbit to whoever is near you. Even if they are a stranger. Who has no clue what you are talking about or why they should care. Congratulations on reaching your quota today!! I did not relate to any of this, and I have no desire in getting a fitbit now! Haha!